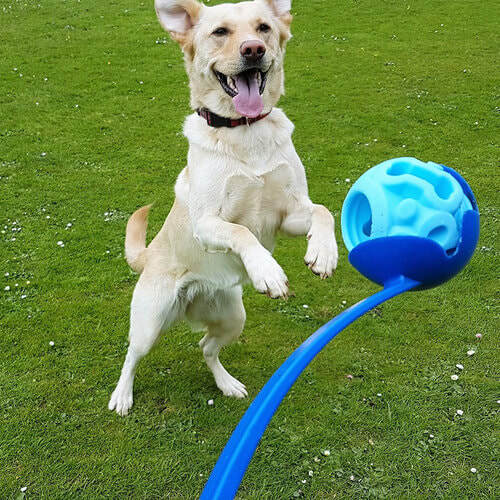 to engage, stimulate and entertain your K9 pal for sustained periods of time. ​They utilize your dogs natural instincts to hunt and work for food, challenging them to unlock the treats inside. STEP 3: Work for rewards! 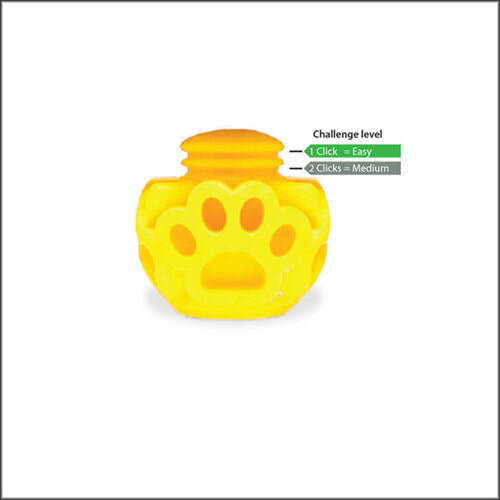 Stuff your dogs favourite treats into K9 Connectables for a rewarding challenge ! Connect more toys for extra difficulty. 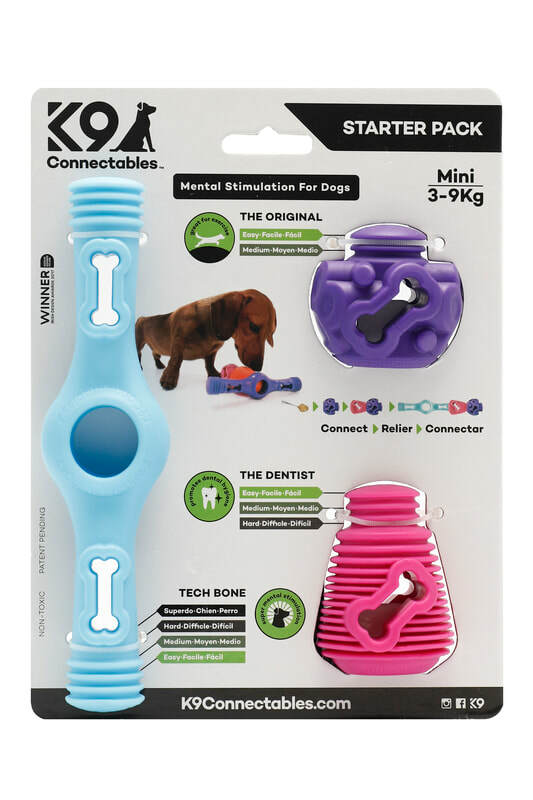 The K9 Connectable Starter Pack contains 1 x Original, 1 x Dentist and 1 x Tech Bone and is available in 3 sizes to cater for all dogs. The Original is a bouncy ball that connects together to trap treats inside. 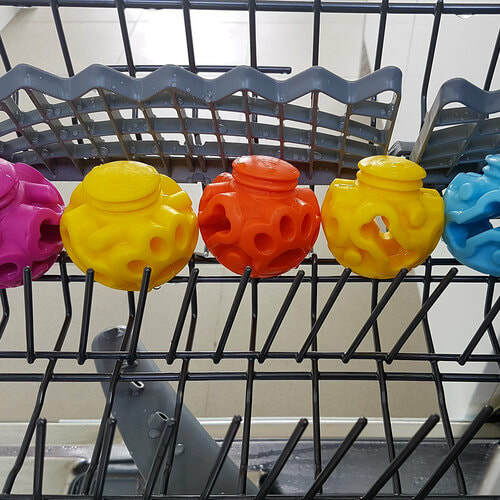 Your dog will love trying to break them apart to get their reward and has two connection levels of difficulty. The Original also fits in tennis ball launchers and floats on water. 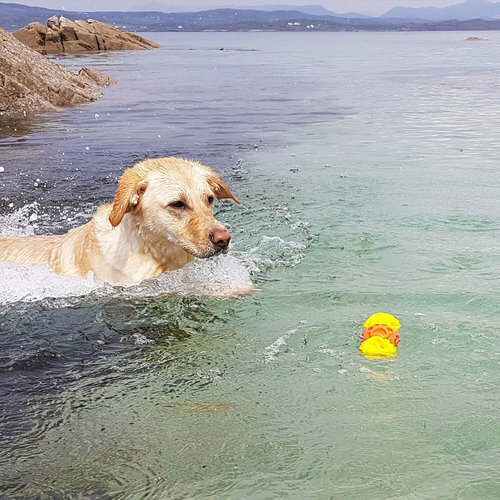 They are great for the beach or the park and are excellent safe toys for fetch and all round fun! 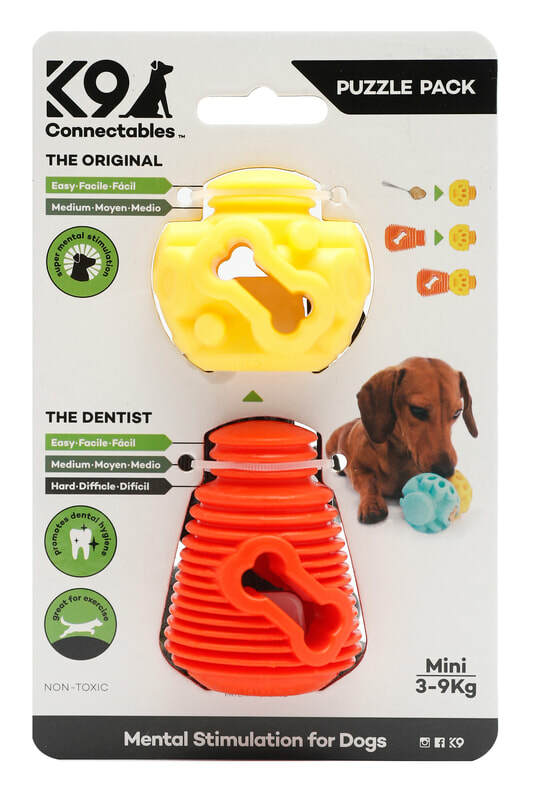 The Dentist has small grooves on the outside of the toy that dogs cant help but bite down on.. this helps promotes dental hygiene and keeps teeth clean ! 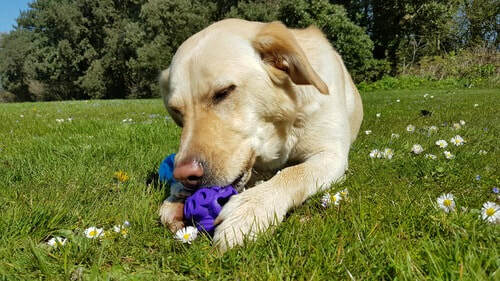 ​There are three connection levels of difficulty on The Dentist which make them a little harder than The Original to break apart for tasty rewards and of course connect with the whole K9 Connectables range for play time that lasts longer. 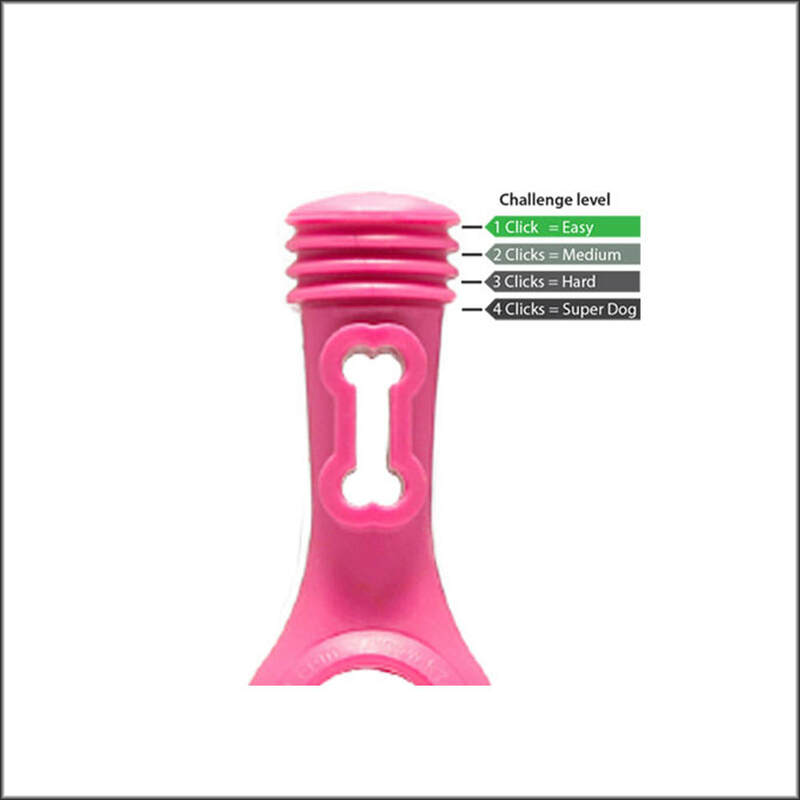 The Tech Bone is brilliant for fetch and is a safe alternative to sticks. 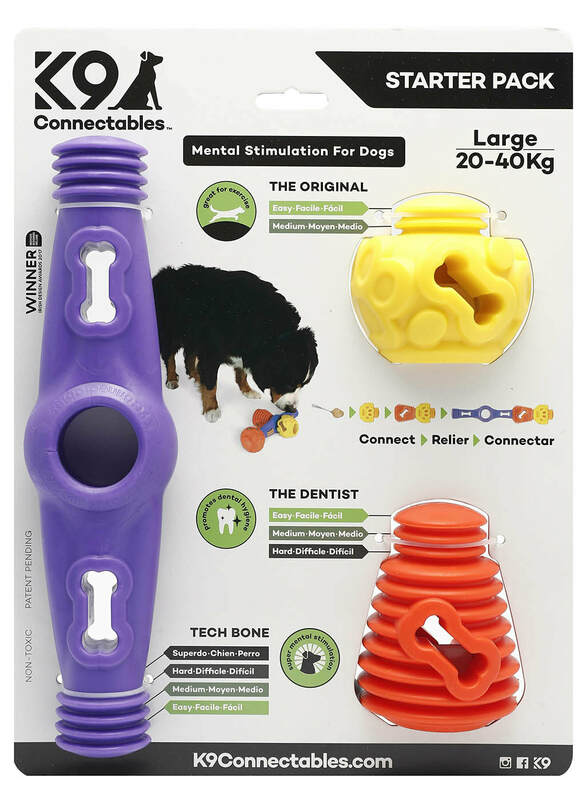 Attach other toys from the K9 Connectables range to create large assemblies your dog will love breaking apart for their rewards. 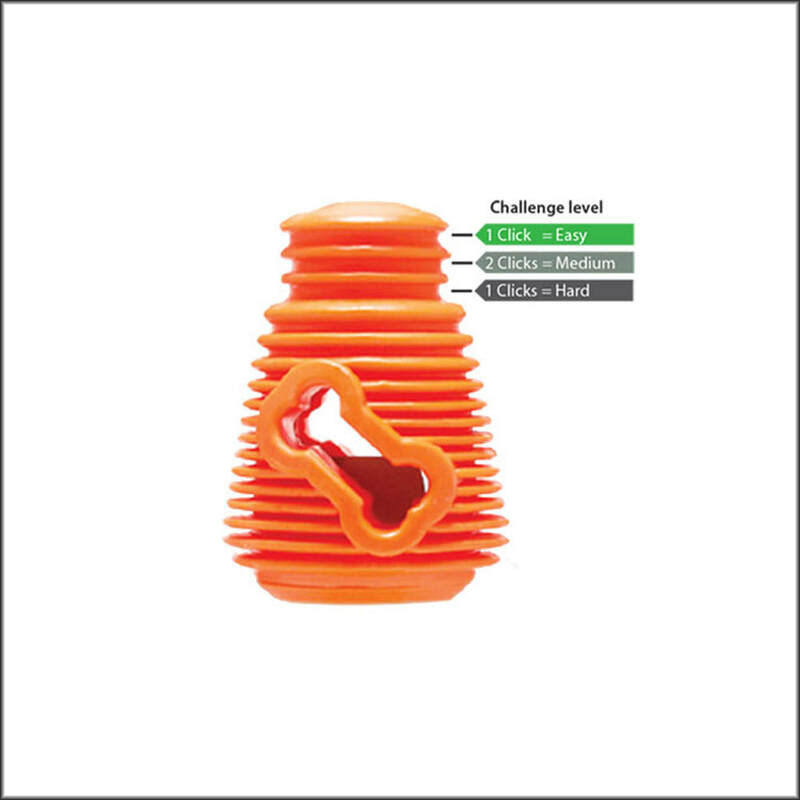 Stuff the bone shaped hole in the Tech Bone with peanut butter or healthy spread for a paw licking good time ! 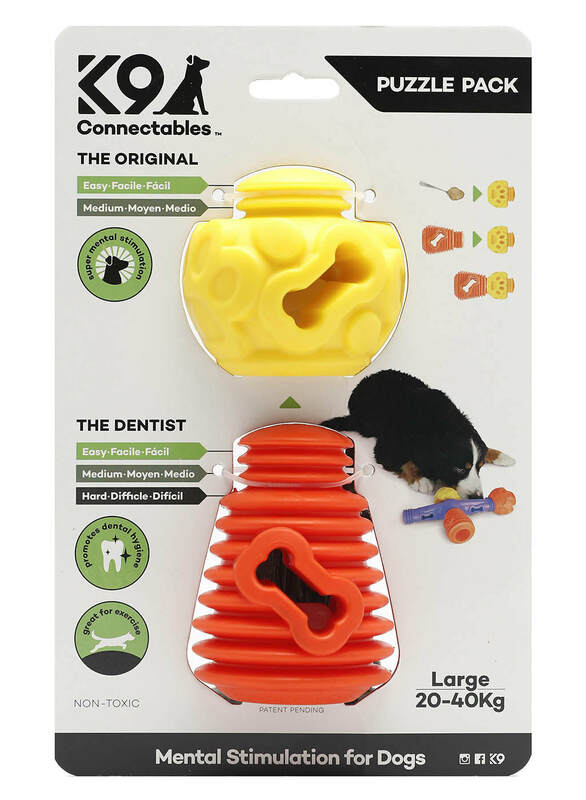 The K9 Connectables Puzzle Pack contains 1 x Original and 1 x Dentist and is available in 3 sizes. Great to expand your interactive Starter pack.